We are now offering wedding invitation envelope printing! 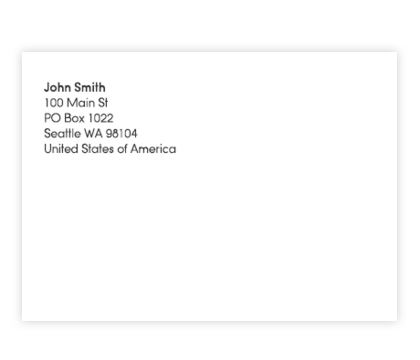 We can do both return address printing and mailing address printing if you give us a list of addresses in a spreadsheet format. Need help collecting addresses from your friends and family? Try a free service from our sister company by visiting www.myinvitelist.com. Below the prices are displayed per envelope. If you have any questions feel free to contact us. *Prices include cost of basic A7 white envelopes. Need different colors, contact us. To order wedding invitation envelope printing add them to your order form or place a separate order below by filling out the form.